Malta and Gozo share the coveted top position for safest countries in the world, according to a UN report. 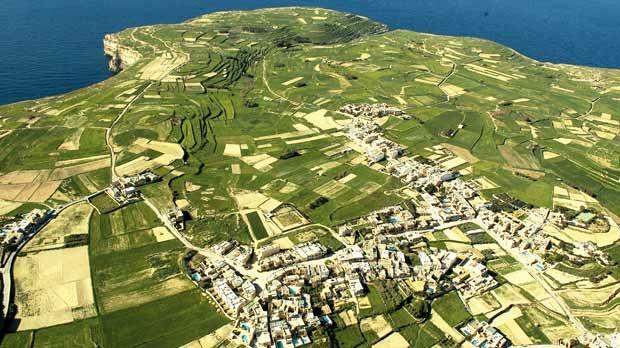 The photo by Chris Sant Fournier shows one of the villages in Gozo. If you want to avoid becoming a victim of a natural disaster or of climate change, you could do no better than to live in Malta or Qatar, according to a new United Nations study which says these two small countries are the safest in the world. The World Risk Report for 2011, conducted by the UN’s Institute for Environment and Human Security, is based on an index related to the exposure of countries to natural hazards and climate change, as well as social vulnerability. It rates the island of Vanuatu in the Pacific as the most dangerous place in the world, with very high exposure to natural disasters and high social vulnerability. If you lived on this island, your risk of falling victim to a natural disaster would be 32 per cent. At the other end of the 173-country league of risk lie Malta and Qatar. Both have very low exposure to earthquakes, floods or rising sea levels and their societies and infrastructure are well-prepared to tackle such events, according to the report. In Malta, the risk of becoming a victim of a natural disaster is 0.72 per cent while that of Qatar is just 0.02 per cent. While Malta is the safest place in Europe, the Netherlands is the most exposed. However, Europe is generally a very safe place as despite being highly vulnerable, particularly to floods, its most vulnerable country is still classified as the 73rd risk-prone country worldwide, as it is highly prepared to cope in such situations. Jorn Birkmann, scientific head of the project, said extreme natural events do not necessarily cause disasters because risk not only depends on the hazard but is very much determined by social and economic factors. “This means that an earthquake of the same magnitude can have different effects in two different countries,” he explained. The report shows that disaster risk has two components: exposure to natural hazards and climate change on the one hand, and social vulnerability on the other. It clarifies that disasters cannot be attributed to meteorological or geological phenomena only but that they are determined also by social structures and processes within a society, such as level of education, extent of poverty, food situation or functioning of governmental institutions. “For example, the Netherlands and Hungary are relatively highly exposed to natural hazards and climate change but due to their social, economic and ecological situations, they have a comparatively good ranking in the risk index,” one of the researchers explained. “Similarly, the earthquakes of Haiti and Japan strongly demonstrate this relationship. While 28,000 people died in the Japan earthquake (9.0 on the moment-magnitude scale), 220,000 people died in Haiti in a much weaker earthquake measuring 7.0 on the moment-magnitude scale. “This was because although Japan’s earthquake was stronger, the country could cope better. Its buildings and infrastructure was more resistant,” he said. The study shows that after Vanuatu, the world’s most disaster-prone countries are Tonga, the Philippines, Solomon Islands, Guatemala and Bangladesh.